The button appeared out of nowhere. There weren’t any signs NOT to push it… so the solution is obvious, right? Is it a trap or the start of something new and exciting? 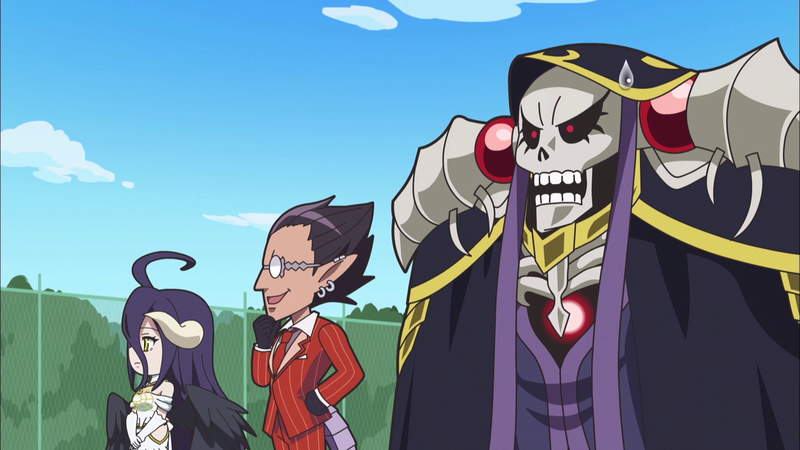 The crews of Re:ZERO, Overlord, Konosuba, and The Saga of Tanya the Evil will find out when they go from their world to another and get stuck in… class?! 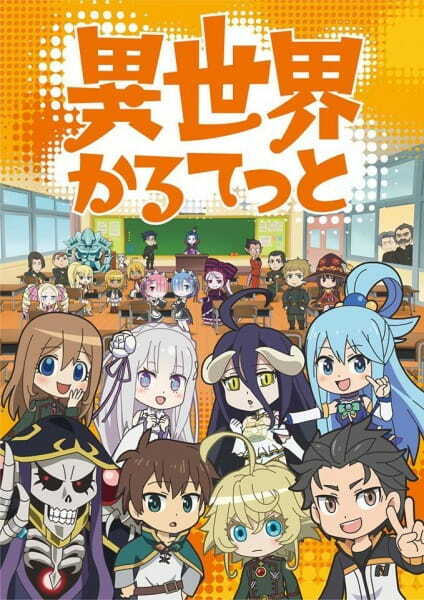 Isekai Quartet is a Japanese anime series that serves as a chibi-style crossover between the light novel series KonoSuba, Overlord, Re:Zero − Starting Life in Another World, and The Saga of Tanya the Evil, all published by Kadokawa Corporation.